Ever feel like you’re spending all your time researching what to read next instead of just reading? You’re not alone. Reading is a time commitment, even if it is rewarding, in our otherwise busy lives. And that’s why it makes sense that we seem to pressure ourselves to read things we deem worthwhile. And she’s so right! Why aren’t we using the simple (and FREE!) method of borrowing library books to our advantage? If reading equals joy, then we should most definitely spend more time doing it, no matter what we choose to read! His story is touching, and demonstrates the notion that when you surround yourself with knowledge, inspiration, and action, are not far behind. This relevant article from Time explores one of the surprisingly frequent discussions we find ourselves in with patrons, supporters, donors and the general public, alike. Do people still read books? Lisa Lucas, the executive director of the National Book Foundation, gives her opinion in this short essay from Time’s 2019 Optimists issue. And her answer is optimistically resolute. Show your appreciation by volunteering your time or donating to your local library Foundation. Visit the library! Take your family, take your friends, take your colleagues. Encourage them to love it as much as you do! Thank your local library staff at ImagineIF. They are talented, inspired, and passionate, and we are so lucky to have them! In this NY Times Opinion piece the author, Eric Klinenberg, advocates what we already know to be true: libraries are a necessary social institution. For almost two centuries, public libraries have offered a unique haven that nary another brick and mortar structure has been able to provide. In addition to access to free information for all, libraries continue to be one-stop-shops that offer those critical intangible currencies -knowledge, camaraderie, interaction -all in a welcoming space that you just can’t seem to find anywhere else. 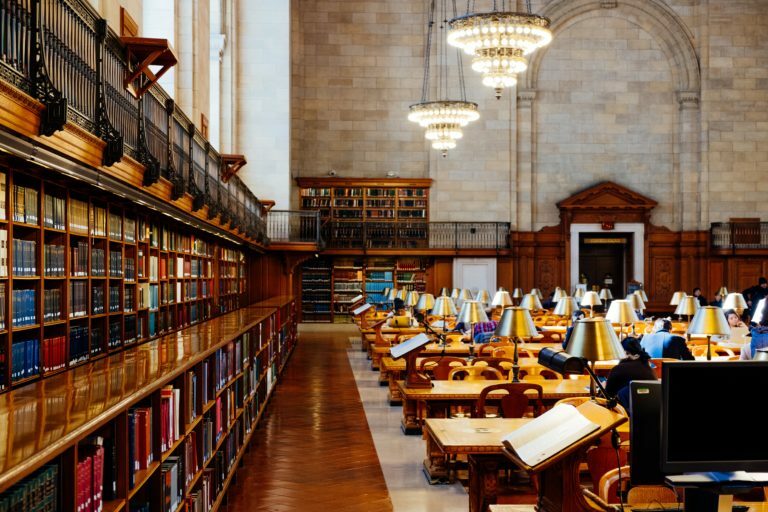 Last week’s This American Life, “The Room of Requirement”, chronicled three stories of libraries, and more importantly, librarians, filling unexpected but critical roles in the lives of patrons. All three stories are wonderful, but the third act is a real doozy. As a child Lydia Sigwarth was insulated from the trauma of homelessness by the boundless welcome of the place where her family took refuge- the Dubuque Public Library in Iowa. She was insulated so well, in fact, that she didn’t realize her family had been homeless until adulthood. She revisits her childhood library and reconnects with the librarian who made her feel so cared for during what could have been the worst periods of her life, but wasn’t. I’ve seen this same scenario playing out at ImagineIF weekly, and it struck a resounding chord to hear an adult reminiscence about the graciousness of a librarian to a disenfranchised child. Grab a tissue and have a listen. It seems like everyone on the ImagineIF Board and the Friends of the Library is talking about “The Library Book” by Susan Orlean, a sweeping book that’s part memoir and part historical investigation. Centered around the Los Angeles Central Library fire of 1986, Orlean examines the age old tug-of-war between the human desire to preserve knowledge and art and the equally human inclination to obliterate it. Everyone who’s read it calls it a page-turner. I’m adding it to my reading list. At ImagineIF, we love books with pictures in them, and not only for kids. Why not allow art to reinforce and expand on the complex ideas and emotions presented textually. In this visual essay Gaiman and Riddel do just that to help explain why libraries and literacy are inexorably tied to the cause of freedom. ImagineIF has an enticing graphic books collection. If you’ve never read one, you’ll be astonished at how sophisticated and moving the genre can be. Check one out!